I had no idea that my seven-year marriage would implode during our long awaited and needed vacation to Albuquerque—the city that will change your perspective. Unfortunately, our attempt at fixing everything wrong in our relationship backfired, big time. I make a face. “What exactly are you hinting at?” I ask, and he lets out a laugh, his eyes bright with amusement. felt in so long. I don’t miss the looks I’m getting from the women he was talking to. Also, I just can’t miss the opportunity to tease him in return. He looks pale, and I almost feel sorry I lied. “You’re joking,” he tells me, jaw taut, a panicked look in his eyes. I wouldn’t be opposed to the idea, if it entails certain things. He points a finger at me and shakes his head in disbelief. He nods slowly, a small smile stretching across his face. His eyes linger on me, as if trying to read me. I felt bold a moment ago, but now that he’s staring at me with such intensity, I feel my cheeks redden and look down. A story full of incredible charm, authentic and so charming! There’s nothing classic with Ines and Esteban’s journey, it was more like a sightly retro feel. I felt the butterflies all the story, transported by the characters and the beautiful scenery place. I believe in strong connection between people. I definitely found it with Ines and Esteban. It was magnetic, with that crazy feeling in the air, like they belonged to each other even they’ve just met. Esteban met Ines at a bad time in her life, when her marriage was falling apart. But that meet cute was filled with that little something that won me over, enchanting and bewitching. In the heat of the midday sun in Albuquerque, Ines was going to find her way back, to that woman she was once, not the shadow she became. Throughout Ines’ introspective journey, seeing her falling in love with a place but mostly day by day being overwhelmed by a certain charming man, too hot and sweet to handle. Esteban was just boyfriend material, pretty intense firsthand with Ines. Looking at her like she was his, and slowly making his way into her heart. I swooned so many times I lost count… he had this presence that immediately attract people. This story was such a breath of fresh air. I was transported into their life changing journey, incredibly romantic, challenging and also so magical. I loved the author’s creative way to make it like a modern fairytale with this hint of mystery. 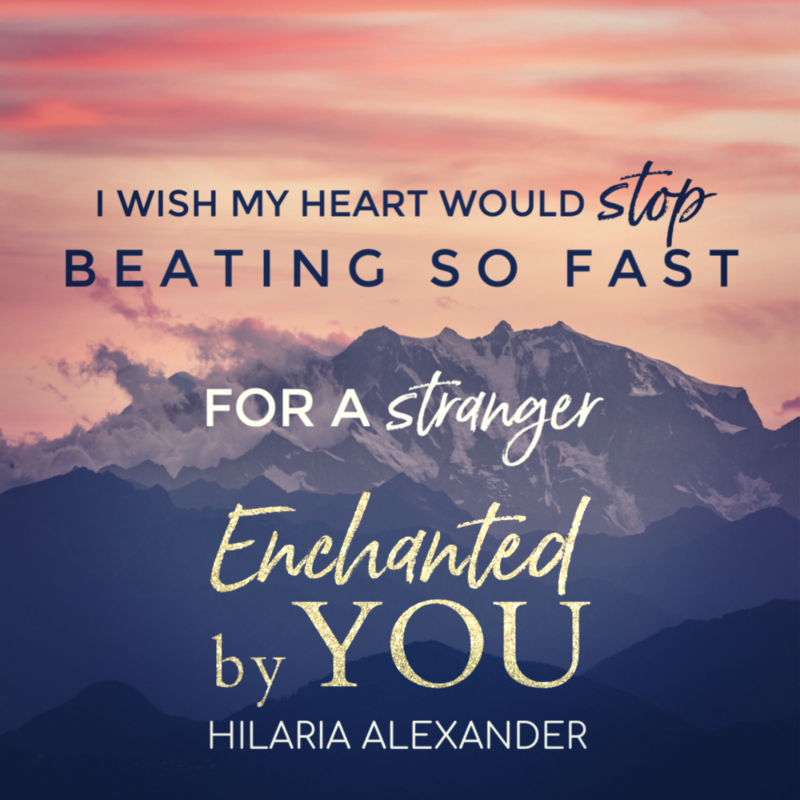 Hilaria Alexander described a love story in a magnificent way, reminding me how it felt when you met the one, making my heart race, this thrilling, exciting but a bit scary feeling. All the feels!